On Jun. 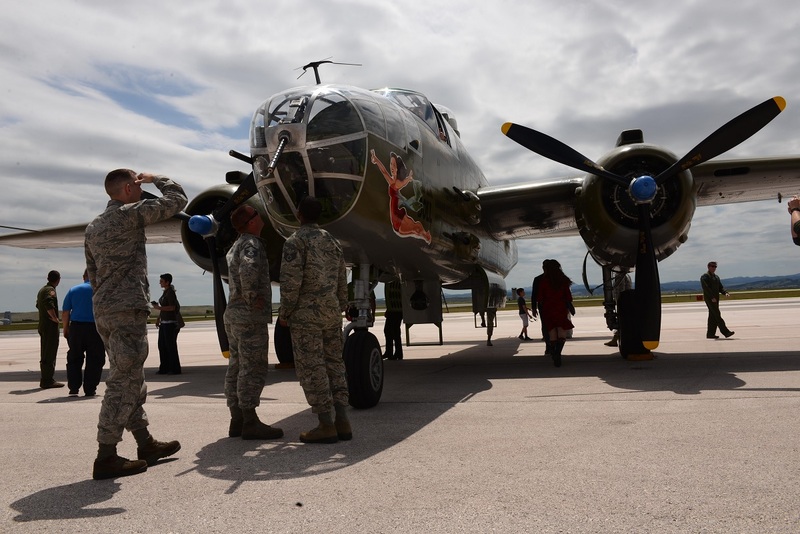 13, 2017, at Ellsworth Air Force Base (AFB) more than 100 Airmen, family members and distinguished guest attended the 100th anniversary celebration of the 34th and 37th Bomb Squadrons. As explained in the article “T-birds” and “Tigers” celebrate 100 years, By Airman 1st Class Donald C. Knechtel, 28th Bomb Wing Public Affairs, the units are two of the oldest in the U.S. Air Force (USAF), with the 34th BS “Thunderbirds” formed on May 10, 1917, and the 37th “Tigers” formed on June 13, 1917. Both squadrons have played significant roles in the nation’s defense dating back to the Army Air Corps and their involvement with World War I. According to Col. John Martin, commander of the 28th Operations Group, the 34th BS “Thunderbirds” and 37th BS “Tigers” have consistently proven themselves in combat, showing courage through airpower in the face of impossible odds; and in the process, cementing their place in history. Key players in the Doolittle Tokyo Raid on mainland Japan that boosted American morale, the actions of the crew members belonging to the two units served as a watershed moment during WWII. Executing a key role in two wars did not limit the units’ ability to supply aircrews and aircraft during the Cold War and Vietnam. Eventually after supporting both conflicts, the time came for the nation to shift focus to Southwest Asia as tensions arose in the area. In fact in 1998 the 37th BS deployed in support of Operation Desert Fox where the B-1 flew its’ first combat sorties over Iraq, striking Republican Guard barracks. In 1999, they flew combat sorties over the sky of the Former Republic of Yugoslavia in support of Operation Allied Force, flying over 100 missions and dropping over 1,260 tons of Mk-82 munitions. After the tragic events of Sept. 11, 2001, both units were deployed. The 34th BS departed that same month and employed more than 6.9 million pounds of munitions, hitting Taliban and al Qaeda targets in the first 101 days of combat. 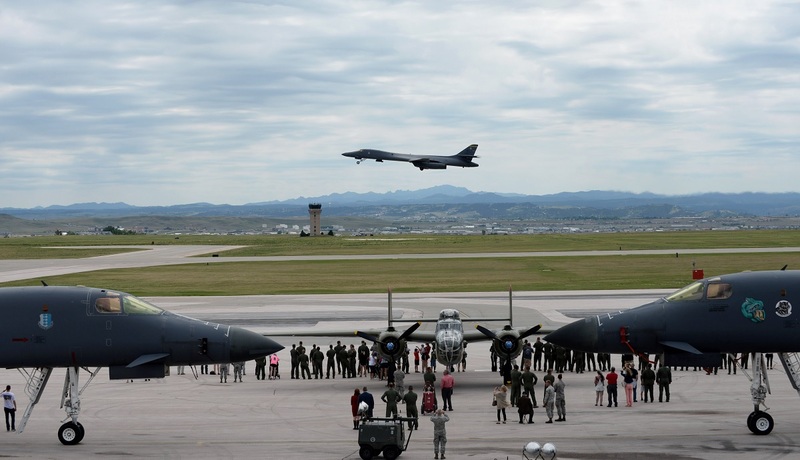 Supporting Operation Enduring Freedom (OEF), aircrews dropped more than 60 percent of all Joint Direct Attack Munitions used in the conflict, and flew more than 360 sorties. Ellsworth flew more than 5 percent of the strike missions, but dropped nearly 40 percent of the total tonnage of bombs – over 1,730 tons – effectively driving the Taliban from power in what is now a democratic Afghanistan. Two years after, the squadron operated from a forward location in support of Operation Iraqi Freedom (OIF). 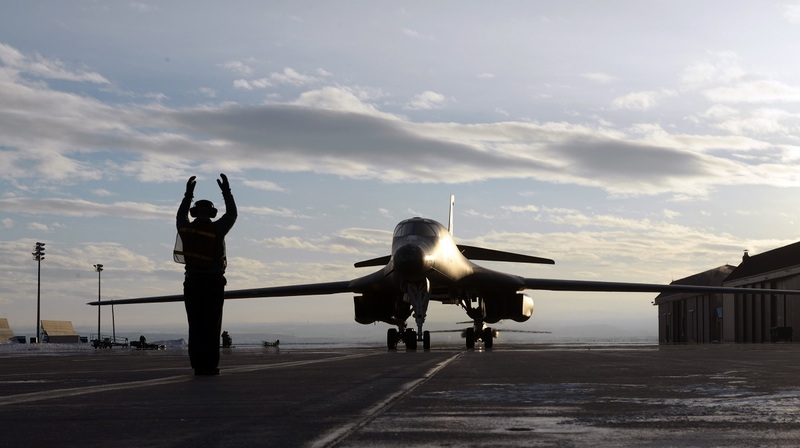 Aircrews flew combat missions over Iraq and two B-1s from the 34th BS were credited with bombing high priority targets in Baghdad, bringing an end to the ruling regime and their ability to conduct major combat operations. Some of the other missions supported included Operations Southern Watch, Odyssey Dawn, Freedom’s Sentinel and Inherent Resolve. According to Simmons in Odyssey Dawn, for the first time ever, aircraft launched from U.S. soil to strike military targets in Libya in support of Operation Odyssey Dawn. 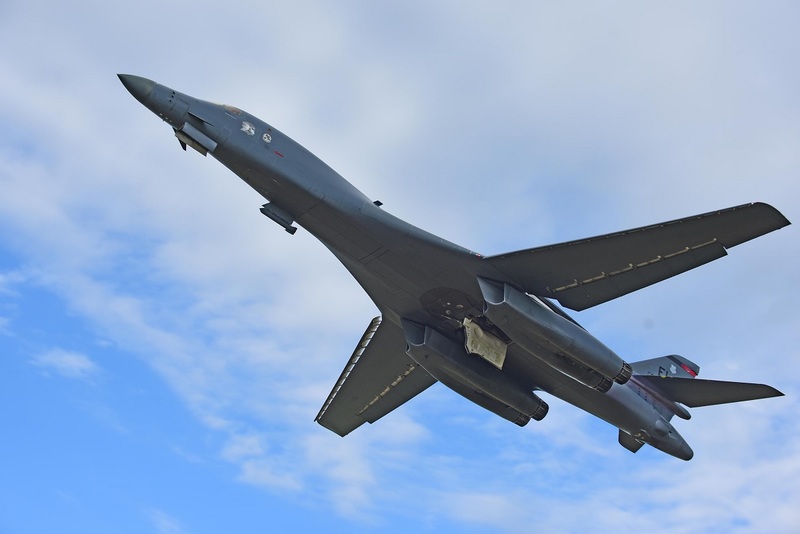 Despite the blizzard conditions of March 2011, maintenance personnel readied four B-1s that launched within 72 hour from receipt of the order. In 2015, the 34th and 37th supported Operation Freedom’s Sentinel in Afghanistan and Operation Inherent Resolve in Iraq and Syria. Looking at those more recent record-setting deployments in 2015 in the U.S. Central Command area of responsibility (USCENTCOM AOR) the two squadrons and AMUs were credited with employing more than 7,000 munitions against enemy targets, flying more than 900 combat sorties. In 2016, the 34th BS was the first of the two squadrons to transition to the Pacific Command AOR. During that first deployment, the B-1s flown by aircrews and readied by maintainers provide the global reach that not only deter aggressors, but assures our allies of America’s commitment to international security. With an impressive history to live up to, the current 34th and 37th BS aircrew and maintainers stand ready to continue a proud heritage.